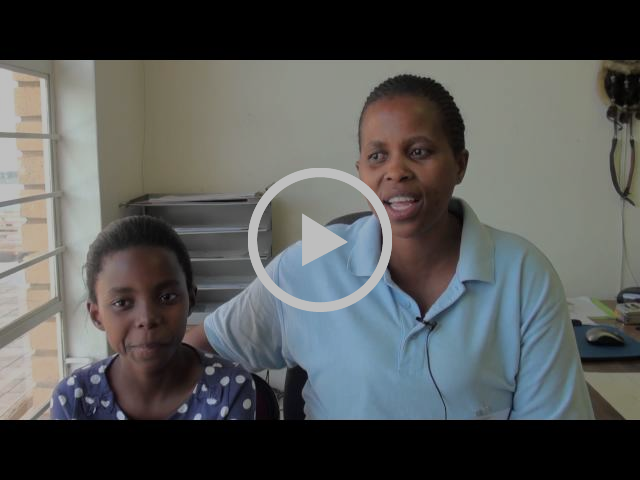 This email includes a brief 4 minute video interview with a Southern Africa Bible College Student. Click on this box to watch a 4 minute interview with Olga and her daughter Tama. Olga is a second year student at SABC. Southern Africa Bible College is celebrating its 50th anniversary this year. In October they held their 50th anniversary lectureships. It was a great time of worship and reunion. The college remains committed to a single purpose: Equip local Christians for service in the Kingdom. Your support makes this possible. Olga is a teacher who wants to excel at teaching children about God. She has taken time out of her career to learn more so she can do just that. But she couldn't do that without the support of the Grace Church of Christ in Boise, ID. They have been her student sponsor for 2 years. Thank you to all our supporters both in South Africa and the United States who make this possible. Please let me know if you have any questions about supporting the college, the Student Sponsorship Program, or a mission trip to South Africa, I'll be glad to help. We currently have a $30,000 matching grant. Your help reaching this goal would be greatly appreciated. Copyright © 2016 Southern Africa Bible College - USA, All rights reserved.